I found these Meyers at the farmers market, and I couldn’t resist buying far more than I needed…the word for that is greed, right? I did, however, resist the urge to tie a feedbag around my nose, drop a lemon in it, and walk around the market inhaling their floral sweetness. Just barely. Heat a Dutch oven over medium high, and add enough olive oil to coat the bottom of the pan. Heat olive oil and add green beans to the pan, allowing them to sear, then stir to turn. Season with salt and pepper, then cook for an additional 3 minutes, stirring occasionally. Remove the green beans from the pan and hold. Add another splash of olive oil, then add chicken thighs to the pan. Sprinkle the chicken with flour, salt and pepper, and sear until golden brown, about 5 minutes. Turn the chicken and brown, another 3 minutes. Remove from the pan and hold. Add the shallot and garlic to the pan, stirring and cooking until softened and slightly browned, then add the wine to the pan and stir, scraping the bits from the bottom of the pan. Bring liquid to a boil, then reduce to a simmer, and cook wine until it is reduced by half and slightly syrupy. Add the thyme springs, tomatoes and chicken stock, then add the chicken back into the pan. Bring to a boil, reduce to a simmer, then cover with a lid slightly cracked, and cook for another 20 minutes, until liquid is thickened. Remove the thyme sprigs. Heat oven to 350 degrees, and place lemon slices on a parchment lined baking sheet. Drizzle with olive oil and season with salt and pepper, then place in the oven and roast for 20 minutes, until lemons are soft, juicy and have slightly browned edges. 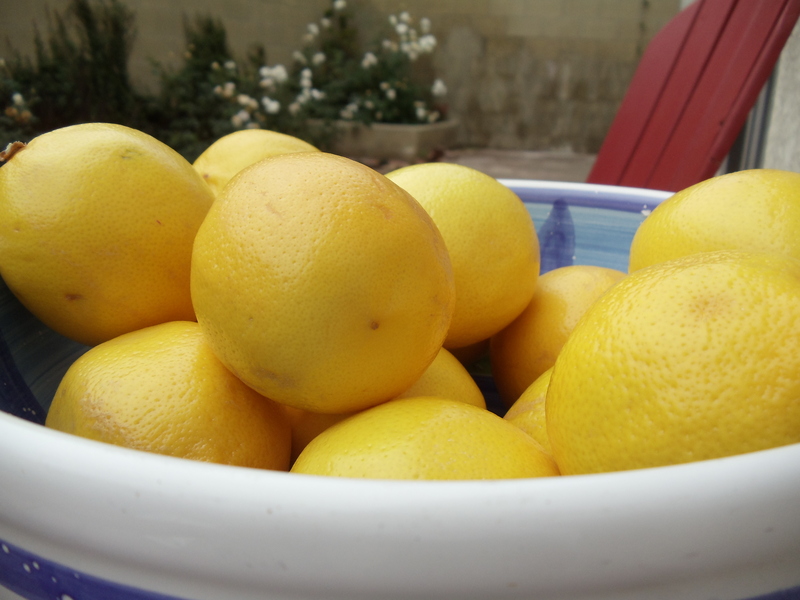 Lemons can be roasted 3 days in advance. Stir green beans, roasted lemons and olives into the chicken and season with salt and pepper, then serve. In a large bowl, add the shallot, lemon zest and juice, vinegar, mustard and honey. Whisk together to incorporate, and then drizzle in the olive oil slowly while continuing to whisk. Season with salt and pepper. Alternately, put all of the ingredients in a container with a lid that seals tight. Shake the dressing until it has thickened and season. Store dressing in the refrigerator for up to a week, stirring before use. Here’ a tip for tender, fresh veggies that you envision not eating by the end of the week: roast ’em. Just throw them on a sheet pan, slap a bit of olive oil, salt and pepper on top, and let them hang out in a 400 degree oven until they start to blister, brown and soften. Then, after they cool, you can store them and give them another life in a sauce, crostini topping, or even toss them in a soup. I roasted cherry tomatoes that were tart and sassy, and gave them even more depth and sweetness, as well as zucchini that got a hit of caramel with the high heat. I matched these up with a fish preparation that can be done in a snap: foil pouches. Pop them in the oven for a steamy, aromatic and delish dinner. 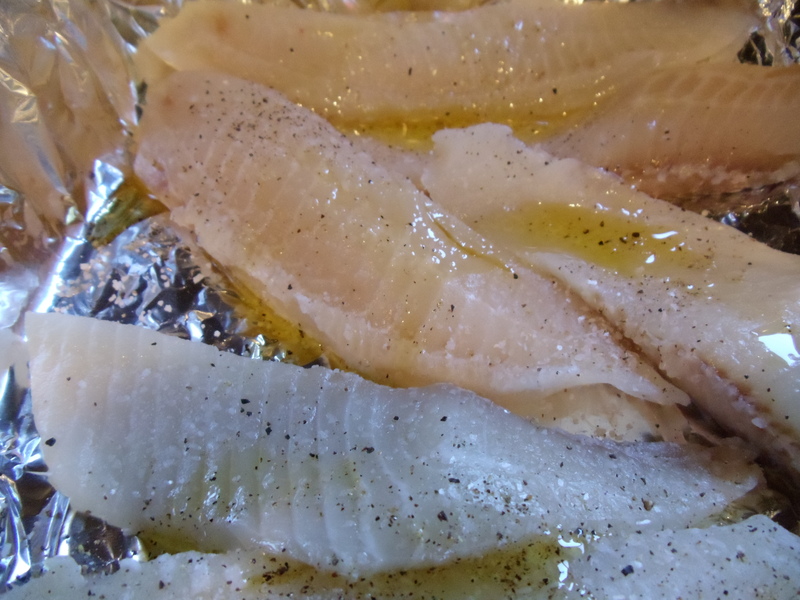 Be sure to season the fish generously with olive oil, salt and pepper. Heat oven to 400 degrees. Season tomatoes and zucchini with olive oil, salt and pepper, then roast in the oven until they start to blister, brown and soften. Remove from oven and set aside for immediate preparation, or cool and store in the refrigerator for 4- 6 days. 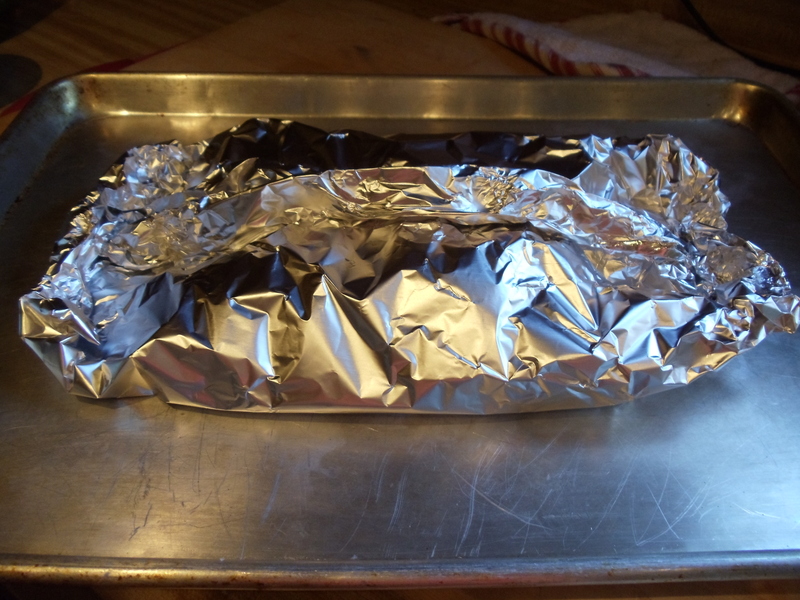 Prepare foil packets using 18 inches of foil wrap and placing it on a sheet pan. Place tilapia on top, then season with olive oil, salt, pepper, thyme and lavender. 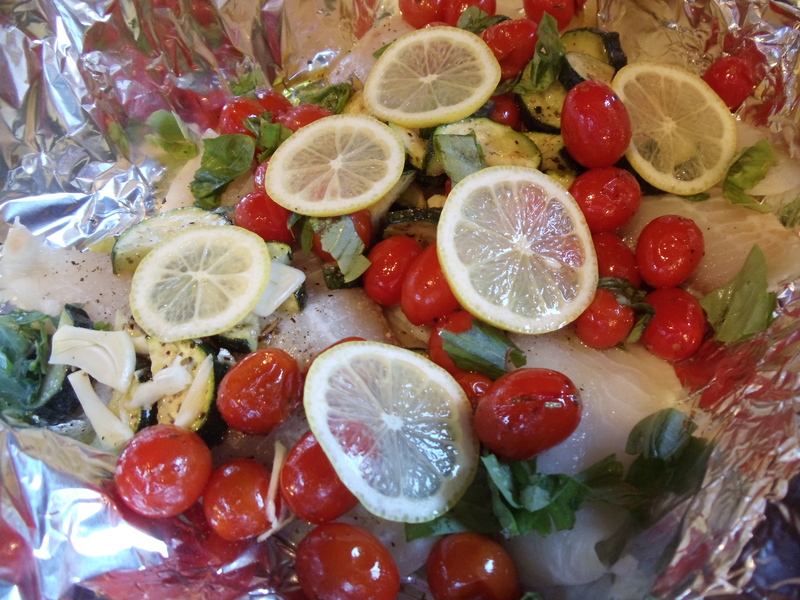 Put the roasted tomatoes and zucchini on top of the fish, pour the white wine over, and place the lemon slices on top. Fold the edges of the foil packet together, forming a seal. Heat oven to 350 degrees, and put sheet pan with the foil packet in, baking for 20 minutes, or until fish is opaque and flakey. Open foil packet and put basil leaves on top of the fish and serve.